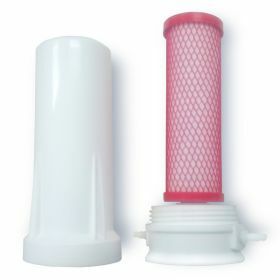 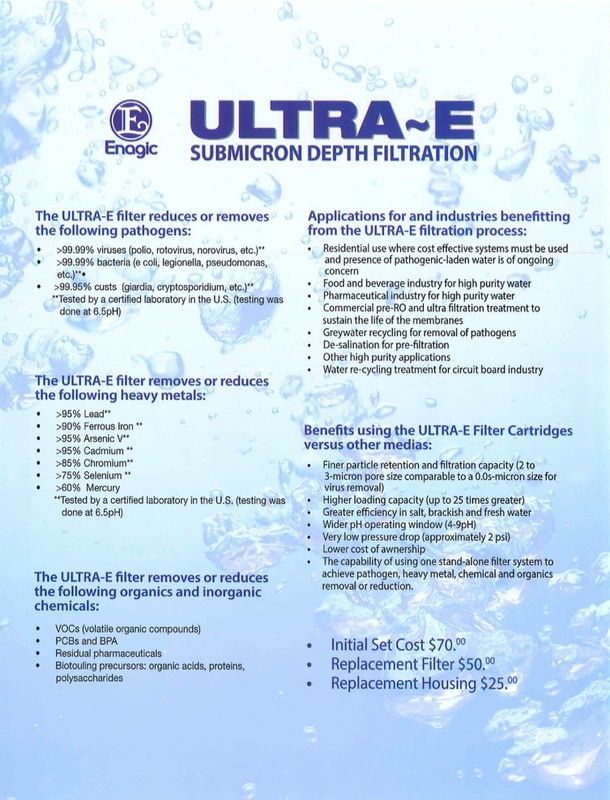 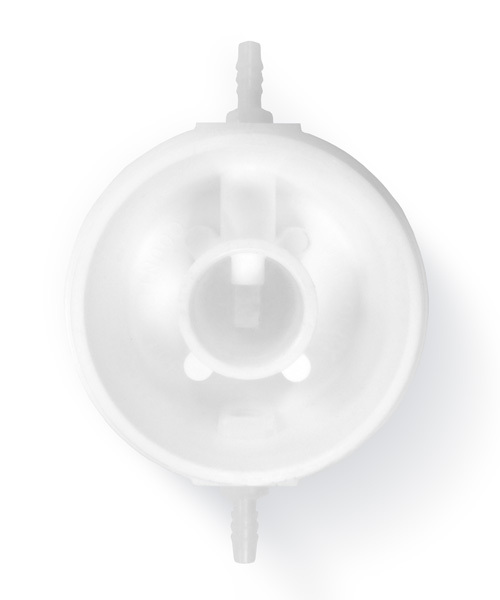 The Ultra-E Submicron Depth Filtration Series is manufactured using a proprietary, patented, electro-absorptive media technology, and is capable of removing submicron pathogens and inorganic contaminants through electro-adhesion and ion exchange. 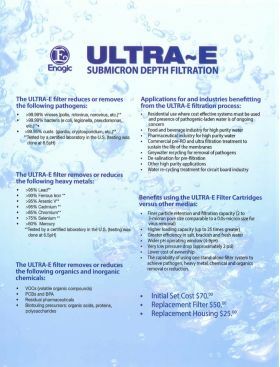 This technology makes it possible for a nonwoven media to product filtration efficiency comparable to ultramembrane filtration but at very low pressure drop, with high flow rates and high loading capacity working equally well in fresh, brackish or salt waters. 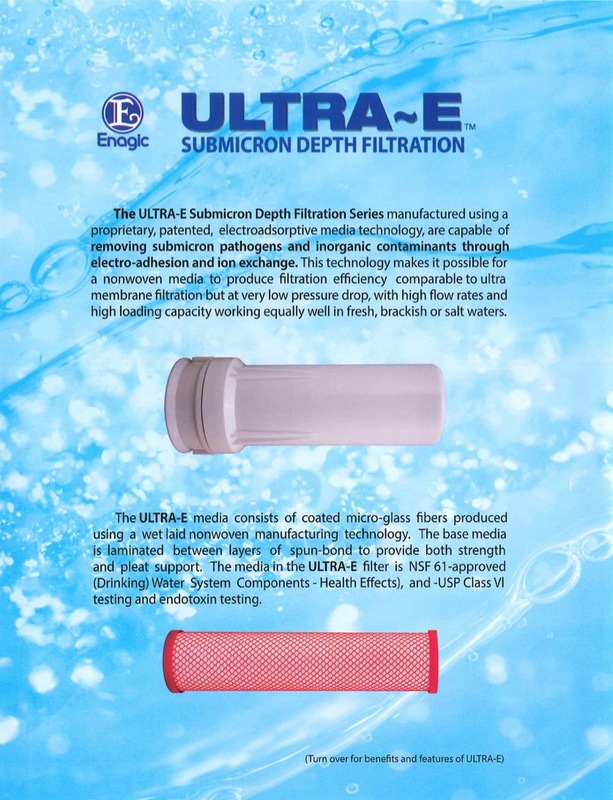 The media in the Ultra-E filter is NSF 61-approved.